While vaping seems to be the hot trend that has taken over in recent years, it actually has a long history. In fact, the Ancient Egyptians would use hot stones to create herb-infused steam. In India thousands of years ago, the first shisha was introduced. The Mayans would practice healing with steam infused with herbs. These ancient cultures developed the techniques that would later inspire the modern methods we know and love today. Join us on a journey through the history of vaping and where we expect the future to take us. While these ancient origins are impressive, you couldn’t very well walk around with your own personal hot rock and herbal steam system. It wasn’t until 1927 when Joseph Robinson decided he could create an electronic cigarette that the modern history of e-cigs began. After three years of development, his patent was approved in 1930. This made it the first official documentation of the modern e-cig. This early rudimentary prototype was never manufactured or made available for sale though. Most people are not familiar with Mr. Robinson. The more well-known Herbert Gilbert makes the claim of being the first to come up with the idea of vaping. He also filed and received a patent for his idea. Unfortunately, the world was not ready for his “smokeless non-tobacco cigarette”. Although he went on record to theorize that companies didn’t commercialize his product because they simply wanted to wait until his patent ran out. We suspect it had more to do with the unreliability of his design. Gilbert may have failed to commercialize his idea, but he did succeed in inspiring others. In 1979, Phil Ray began work on his version of the e-cig. By working with his physician, they developed the first commercialized version of an e-cig. We should note though, this nicotine delivery system wasn’t a true e-cig. It depended on evaporation to deliver the nicotine. Ultimately the Favor cigarette wasn’t a huge success due to its unreliability in delivering nicotine to the body. They were successful in contributing the word “vape” to the culture though. Phil and his doctor weren’t the only ones working on an e-cig. Throughout the 60s and 70s private inventors and enthusiasts created their own versions of e-cigs for personal use. Throughout the 80s and 90s, inventors and tobacco companies worked to develop a device that aided in inhalation of nicotine. While there were numerous patents, none that managed to catch on. These efforts were also thwarted by the FDA, who refused to allow major tobacco companies to bring e-cigs to market. Their reasoning being that they were unapproved drug delivery devices. Unfortunately, when this happened many major tobacco companies decided to cease efforts. Even though development was a flurry, commercial advances of e-cigs remained stagnant in the 80s and 90s. It wasn’t until the early 2000s in 2003 when a Chinese pharmacist by the name of Hon Lik patented the first true modern e-cig. His version utilized an ultrasonic technology instead of the battery powered heating element we use today. There were just three parts to these early designs, making them simpler. While rudimentary compared to today’s designs, Lik’s was the first to successfully make it to the commercial market. The Ruyan company began to produce e-cigs for the Chinese market in 2004. It wasn’t until around 2007 that e-cigarettes made their way to the US and European markets. Once they did make it into the hands of US consumers, their popularity was undeniable. While many viewed them as a passing fad, we can now confidently say vaping is here to stay. While consumers loved this new alternative to cigarettes, the reception of the FDA and scientific community was a mixture. Many expressed concerns about the long term effects of the use of e-cigs, fearing that they would have the same effects as traditional cigarettes. As vaping became ever more popular, the FDA deemed it necessary to regulate the industry. In 2016, they published Deeming Rules. These rules regulate manufacturers, retailers, and consumers. The goal is to regulate the production, distribution, and use of tobacco products within the United States. The United States wasn’t alone in its regulation. By 2015 about two-thirds of the major countries around the world had introduced some form of e-cig regulation. It is important to note that those under the legal age should not use e-cigarettes or tobacco products. Vaping products should only be used by adults who are of legal age. One major concern brought up by the FDA and other consumer protection groups is the level of toxicity in the human body from the use of tobacco products. However, as more and more research studies get performed, we are seeing that e-cigarettes have a significantly lower toxicity level when compared to traditional cigarettes. This makes them a popular alternative for those who habitually smoke traditional cigarettes. It gives users a way to reduce the level of damage and toxins they introduce into their body. Plus they can enjoy a wide variety of flavors and no longer suffer from everything they own smelling like stale cigarettes. Today, e-cigs come in a variety of shapes and sizes to fit the desire for both function and aesthetics. The CoilART Mino Pod Kit is innovating the pen-style of e-cigs. This compact design allows users to charge it fast, inhale nicotine efficiently, and never worry about leakage. When it comes to the experience, the Mino Pod delivers fresh and pure flavor. It’s fast hitting with a competition coil and the finest Japanese cotton. With its long airway and bottom air flow, condensation is prevented which allows for the release of pure, original flavor. For functionality, you can’t beat the features built into this Mino Pod. It comes with protection for low voltage, short-circuiting, no load, and overtime. Mino Pod ensures you have a dependable and lasting quality performance. Finally, all of that performance comes wrapped in a beautiful package. iWatch technology and materials were used to create clean lines and ergonomic design throughout the body. Once in your hand, you’ll appreciate the baby skin touch. To complete the package the Mino pod comes in five different design options. Each a sophisticated, yet bold design. Add some sophistication and class to your vaping with the classic marble highlighted with flecks of gold. As you can see, vaping has long been a pastime that people have enjoyed. We wouldn’t have the present-day vaping experience we have today without each of their contributions. 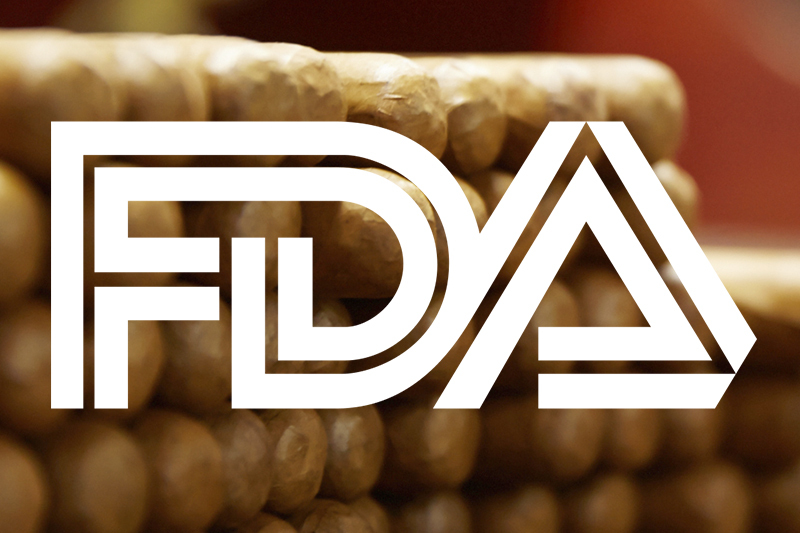 Even the “big boys” of the tobacco industry want to get involved again with companies like Philip Morris International filing applications with the FDA for a heated tobacco product in 2018. While science has yet to determine the full long term effects vaping has on the human body, so far, the results are favorable. This is especially true when comparing to the well documented damaging effects traditional tobacco cigarettes have on the body. We look forward to the next innovations that enthusiasts will create as we move into the future of vaping. Join us at CoilART in the future of vaping with your own Mino Pod all in one system. This entry was posted in MINO POD, Uncategorized. Bookmark the permalink.